Great gift for Christmas and New Year! 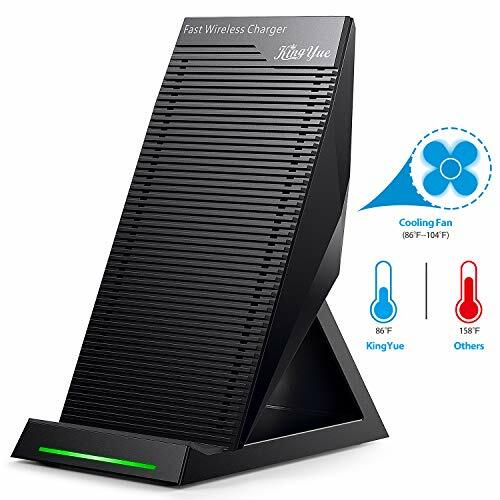 [Advanced Version] KingYue Type C Fast Wireless Charger Built-in Cooling Fan and Say Goodbye to Tangled Wires! As a popular charging style, wireless charger makes our lifestyle more convenient and efficient. KingYue Wireless Charger is made with a built-in cool fans, keep your phone charging faster, more secure, your phone life longer. 2) 10W Fast Wireless Charging for Samsung is required with QC 2.0 or 3.0 adapter. 3) For Samsung Galaxy S9, as the ODM AC adapter is not QC 3.0/2.0 charger, you must prepare an alternative one to get quick charging.